NuGet Gallery | Packages matching Tags:"SessionState"
19 packages returned for Tags:"SessionState"
In .Net 4.6.2, asp.net enables plugin async SessionState module which is a good fit for the non-in-memory SessionState data store. This async SessionState module provides the extensibility to plugin an async version of SessionState provider. In .Net 4.6.2, asp.net enables developer plug in async version of SessionState module which is a good fit for the non-in-memory SessionState data store. This SessionState provider uses SQL Server as the data store and leverages async database operation to provide better scability. 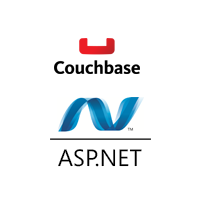 Provides Session State and Application Cache as a replacement for the built in state for classic ASP/classic ASP.NET and AspNetCore. Enables interoperable Sessionstate between those three frameworks. Uses Redis 2.8(+) as a backend storage server. In .Net 4.6.2, asp.net enables developer plug in async version of SessionState module which is a good fit for the non-in-memory SessionState data store. This SessionState provider uses CosmosDB as the data store and leverages async database operation to provide better scability. AerospikeSessionStateStore is a high performance Session State Provider that uses the Aerospike NoSQL Key-Value store. ASP.NET Session State provider for ASP.NET 4.6.2 and higher. ASP.NET Async Session State provider for ASP.NET 4.6.2 and higher.